Hi guys!!!! I know I tell you to step outside of your box and try something new when it comes to fashion and style, and for me that means adding color. 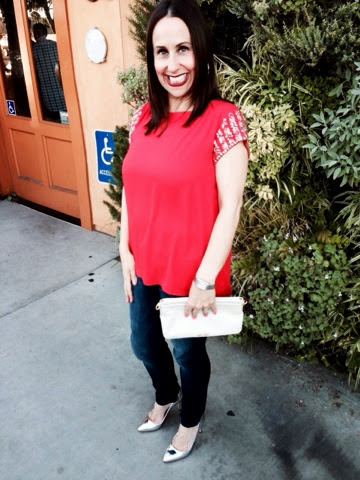 I love my date nights with my husband Jeff and I always try incorporating color when we go out to fun dinners. 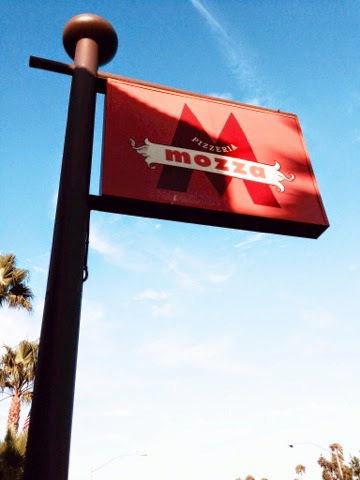 We just went to one of our favorite places called Pizzeria Mozza in Newport Beach. 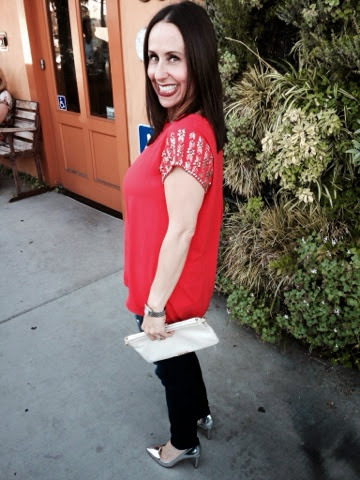 I wore this bright orange top with silver embellishments on the sleeves, dark denim skinnies and silver heels. I love orange. 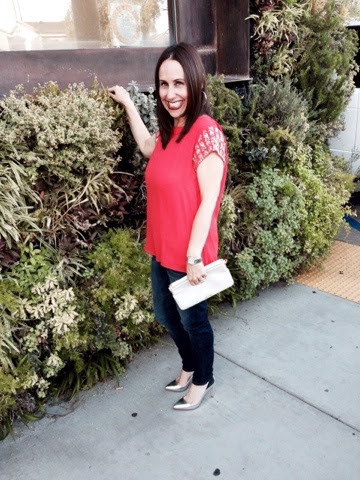 I know I have worn it before and talked about it for spring, but it definitely is still a hot color for summer and early fall. I also love adding metallic colored shoes like gold or silver with bright colors like orange, hot pinks and bright reds. Incorporating these metallic shoe colors is a fun way to spice up your wardrobe. I also love this Miu Miu white clutch that my best friend Jessica brought back for me from Italy (isn't she so thoughtful?). I love the mix of white, silver and orange. 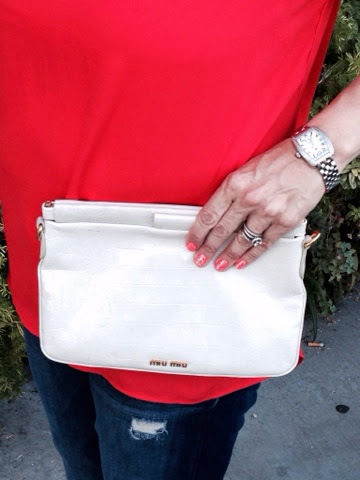 What bright colors and metallics do you like to wear for date nights? Let me know and happy reading. Thanks to Cathy Cordas for photo editing. And don't forget to follow me on Instagram (@ everythingevelyne), Facebook and. Bloglovin.